When you buy a car, for the most part you expect that the car will last you for some time. Of course every vehicle has its limits but with the proper care a car can last up to eleven years according to the Fiscal Times. Consumer Reports has taken some of the guess work out of selecting a reliable car. Consumer reports has selected one vehicle to be the most and least reliable vehicles in their class. Looking for a new car? Check out Swapalease.com where you have the ability to take over the remainder of somebody else’s lease anywhere across the United States. 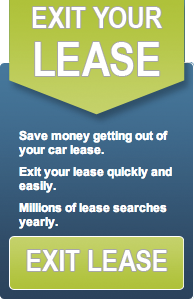 For more information on finding the best car lease deals or to learn how you can have a successful car lease trade, visit Swapalease.com or contact them at 866-SWAPNOW. Technology has infiltrated almost every aspect of modern-day life. We have items such as Amazon’s Alexa that will listen to our commands, refrigerators that have internet access and more. So it only makes sense that our cars share that same connectivity. At the Paris Auto Show this month BMW, Audi and Mercedes-Benz unveiled cars that will blend seamlessly with our technology driven lifestyle. These cars will be able to find available parking spots, read road signs and even look at the traffic ahead to determine the best route. Car makers believe that the data collected from driving will enhance the driver’s experience in the vehicle. By allowing all of the cars capable of connectivity to form a sort of information grid, they will be able to share information back and forth. So a car that passed an empty parking spot may be able to tell another car that it is available. Other non-luxury brands are interested in this technology as well. Smartphone apps for brands like Ford and Chevy already allow drivers to remotely locks doors and start their engines. These features are becoming more and more popular among drivers and this demand will likely drive the amount of cars currently offering this technology up in the future. If you are looking for a car with a little extra tech check out the selection on Swapalease.com. We are the largest online lease transfer marketplace and have vehicles and customers in every state in the continental United States and Canada. For more information on finding the best car lease deals or to learn how you can have a successful car lease trade, visit Swapalease.com or contact us at 866-SWAPNOW.